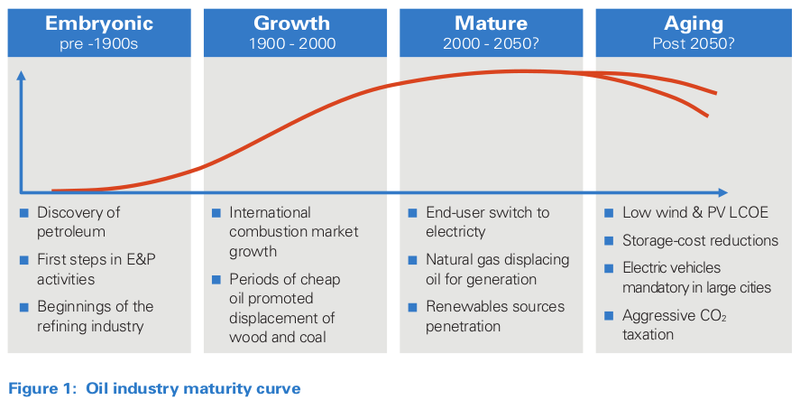 After over a century of growth, demand for oil is likely to peak and begin to decline by around 2035. This will lead to radical transformation of the industry, convergence, new entrants and new business strategies. What will this future ecosystem will look like? Will existing players be able to survive and even benefit from these new challenges? We explore what the successful oil company of the future will look like. Multiple trends are set to transform the oil industry. Within 20 years, demand is likely to peak and then decline, leading to industry convergence which will undermine the competitive position of current players. The future oil industry will also see both energy and non-energy entrants, which means oil companies are already trying to adapt their business strategies to the forthcoming era. The big question we explore in this article is what the future ecosystem will look like, and whether existing players will be able to leverage their core competences to survive and even benefit from these new challenges. What will the oil company of the future look like? After over a century of growth in the industry, technological improvements, environmental concerns, social trends and government policies will all impact demand for oil. This will lead to a peak and decline, which is likely to happen between 2030 and 2040. Greater social awareness of the effects of fossil fuels, combined with CO 2 taxes and fiscal incentives for renewables, will contribute to alternative energy sources becoming more competitive than oil. Thanks to technology and innovation, renewables and energy storage are reducing costs much more quickly than oil extraction operations are. Breakthroughs in battery technologies will favor electric vehicles (EVs) and electric power over fossil fuels. However, efficiency gains in internal combustion engine (ICE) vehicles will affect demand for liquid fuels even more. Other breakthroughs, such as algae biofuels, fusion reactors and fuel cells, could also disrupt the energy industry. Several countries are aiming to eradicate ICE cars, setting deadlines for new sales. At the same time, EV usage will grow as its total cost of ownership (TCO) decreases. Nevertheless, expanded EV ownership will affect demand for liquid fuels less than is expected, since the additional electric power they require will be partially generated from gas or oil products. However, fossil fuel prices may suffer due to higher competition for generation. We are already seeing public policies to reduce emissions, such as banning ICE taxis, restricting parking, charging congestion fees in peak hours, and creating priority roads for public transport. These combine with social trends such as greater car sharing to decrease ICE traffic, and therefore lower fossil fuel consumption. The global oil supply is highly reliant on politically unstable Middle Eastern countries, and this is a concern to large oil-importer governments. In response, they are introducing a range of incentives, such as subsidies for alternative energy sources or higher carbon penalty rates to reduce hydrocarbon dependence. These drivers will move the oil industry into an aging phase. This will be characterized by low levelized cost of energy (LCOE) for wind and solar photovoltaic generation, major cost reductions in energy storage, wide expansion of EVs in large cities, and aggressive CO 2 taxes to reduce greenhouse gas (GHG) emissions. As we have explained, global trends will lead to a decrease in the share of coal and oil in the energy matrix, whereas demand for natural gas as both an energy source and petrochemical feedstock will continue to rise. Massive reserves of gas in unconventional reservoirs and lower field-to-customer supply costs will drive a “gas- prone” trend. This will be reinforced by a cleaner image of gas; long-term supply contracts for petrochemicals; larger gas liquefaction, regasification and generation capacity; and detachment between natural gas prices and oil-price volatility. Renewables will partially displace hydrocarbon demand, while other energy sources plateau. For example, China’s nuclear expansion program will be compensated with declining nuclear activity in Europe, and hydroelectric generation will not expand due to its limited potential to add capacity. Even though oil demand will peak in the next 20 or 30 years, fossil fuels will still represent a significant business segment. However, the ecosystem will change. Thanks to their control of reserves, national oil companies (NOCs) will produce the most oil globally, with significant integration throughout their refining and petrochemical value chains. International oil companies (IOCs), with limited access to fossil resources and high exposure to environmental topics and customer preferences, will lead the “surpassing petroleum” trend. They will penetrate the utility market, generating and selling electricity to end users, as well as harnessing their current fuel-station networks to provide “all the energy you need”. Competition will grow. The oil industry will soon collide with sectors such as utilities, automotive, telecoms, technology, agriculture and petrochemicals. These are progressively converging into overlapped ecosystems, altering competition by blurring traditional boundaries. Convergence will disrupt all these industries’ architectures, undermining the competitive advantages of established firms and providing opportunities for new entrants, start-ups and well-established players from other segments. This will enable new competition and cooperation opportunities. Oil companies, even those with large reserves or strong core competencies, will have to rise to the challenge. Competition will emerge from multiple energy and non-energy players, intensifying the pressures on traditional businesses. To survive in this new competitive landscape, oil companies will have to further strengthen and leverage their traditional core competences, while developing new skills to navigate in an increasingly uncertain environment. Besides the “gas-prone” trend, in the last 15 years oil majors have spent more than $6 billion on clean-energy ventures. Smaller companies are starting to follow in their footsteps. Both Shell and Total have been betting on small projects and companies in the renewables sector. Statoil was renamed Equinor, rebranding itself as an “energy company” strongly positioned in offshore wind farms, as well as expanding to solar and onshore wind. At a different pace, BP and Chevron have also expressed their commitment to renewables. Most investments have focused on solar and wind power. 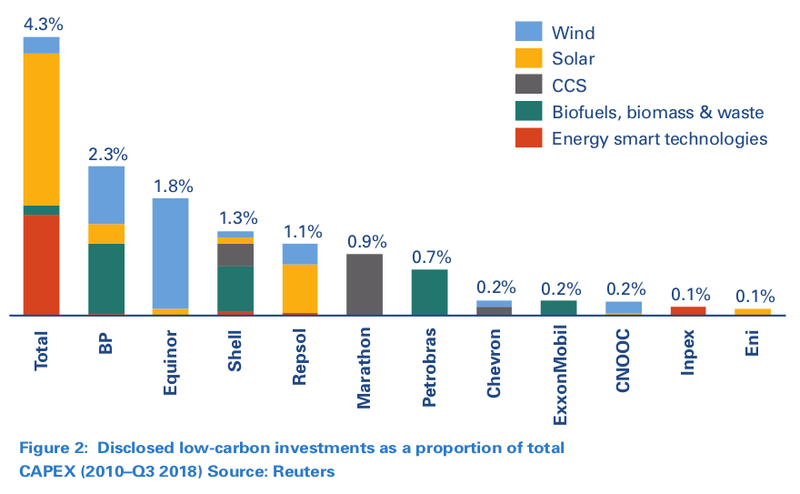 However, other segments have also attracted significant interest from oil companies, including biofuels, carbon capture & storage (CCS) and batteries. While many IOCs have been divesting from downstream and fuel distribution, several NOCs are investing in refining and petrochemical capacity to secure outlets for their crude oil and industrialize their home countries. These new, large-scale refineries will displace small ones, and may frequently be built alongside petrochemical complexes. Numerous small, independent companies have succeeded in specialized niches. The most remarkable examples are independent US companies active in the shale/tight oil & gas, and enhanced oil recovery (EOR) segments, as well as Canadian firms specializing in tar sands. These pioneers have led the way in best practice and technology development for their own niches, in many cases leaving big oil companies behind. Partnerships offer the opportunity to combine capital and hydrocarbon resources in order to develop projects that could exceed a single company’s budget or affect its portfolio’s risk profile. They also allow companies to benefit from indirect access to partners’ creditors, acquire new technologies and operational practices, and learn about the management of large-CAPEX projects, cost efficiency, people management and relationships with communities. NOCs, with their generous access to sub-surface resources, are therefore increasingly partnering with IOCs and oil-field services companies (OFSCs) for technical/operational matters, funding and financing. Oil companies are retargeting their investments into unconventional and deepwater fields, which offer much potential for expanding their reserves. In 2017, majors dedicated almost 70 percent of their global budgets to offshore and unconventional assets. Additionally, the expected shifts in the energy matrix are pushing some oil companies to increase their bets on natural gas, as part of the above-mentioned “gas-prone” trend. Current players face a dilemma. They understand the imperative for change, but have to balance how long they stay within the fossil window with when and how much they should move towards embracing a broader energy scope. Given the value that their scale and global branding delivers, they also need to define their geographic reaches. Energy holding: A regional or global company producing diverse energy sources, with multiple ventures in non-traditional oil segments. It will generate electricity from its own hydrocarbons and offer a broad portfolio of energy products and related services. This model would be robust in an accelerated energy transition scenario, since it would provide growth opportunities beyond hydrocarbons, allowing oil companies to maintain or expand their shares of the energy matrix business, despite its evolution towards cleaner energy sources. On the other hand, the diversification efforts needed to build an energy holding present the risk of distracting focus and diverting resources from the hydrocarbon business during high-returns time windows. XXL oil company: These will be NOCs or super-majors producing more than 5 million barrels of oil equivalent per day (MBOED), integrated with world-scale refining and petrochemical complexes. However, they will have limited energy diversification. XXL NOCs will prioritize monetization of resources for their home countries, and only a few will have substantial international presence. The XXL model seems to be more suitable for the agendas of large national oil companies that are looking to prioritize scale and efficiency in monetizing resources. This approach could also play well for super majors, which, through skillful geopolitical tactics and partnering strategies, could gain access to massive low-cost hydrocarbon resources in regions such as the Middle East or Russia. Regional “mini-majors”: Integrated companies with regional focus, processing their own crude oil and gas to offer refined and petrochemical products. They will help accelerate the gas-prone trend, as well as development of cleaner energy sources such as biofuels and other renewables. Regional integration and diversification will, to some extent, protect these companies enjoying political, cultural, logistical and commercial advantages from larger or more specialized and efficient global players. However, growth opportunities for mini-majors will be limited by the geographic scope of their regional markets. Global service companies: With deep technology and digital know-how, these will increasingly take responsibility for performance improvement initiatives within oil & gas operations. They will tackle pending operatorship when acquiring IOCs, but face challenges from risk-seeking competitors when developing globally operated portfolios. Even if every barrel produced demands more application of technology and services than before, this business model will be strongly challenged by the energy transition if its scope of assets and services is not broadened through rapid innovation and development of new solutions for energy producers and consumers. American drillers: These lean organizations are highly efficient, fast adopters of new technology and operational know-how. They will have access to cheap financing and be able to idle wells as soon as prices make production unattractive. Easy access to land, resources, capital, services and infrastructure are the key competitive advantages for these players, which are mainly focused on efficient exploitation of non-conventional resources in North America. Replication of this model in other countries would be challenging, and potentially limit the scope of availability with the competitiveness of the US resource base. Special-purpose vehicles: These lean corporate organizations will be able to facilitate capital investment in selected hydrocarbon-business opportunities, managing continually changing asset portfolios. They face a challenge in balancing risk-taking with the need for continuous growth. Agility is a strength of this business model, and returns can be high when combined with low financing costs, but high exposure to hydrocarbons will eventually limit the growth potential for these types of investors. 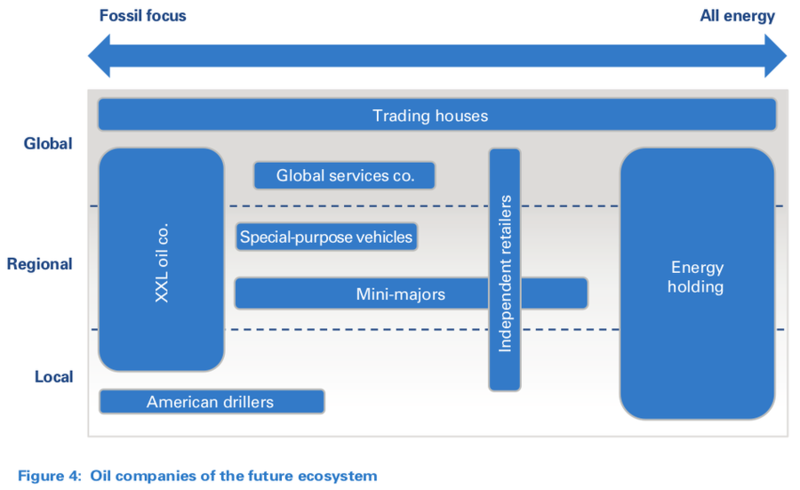 Trading houses: These will progressively take positions throughout the value chain, although they will pursue fewer opportunities in oil and gas exploration and production. Their main objective will be to gain more optionality and benefit from regional imbalances in supply and demand. This is a business model under challenge if it remains “as is”, since traditional arbitrage opportunities are disappearing and an increasing share of renewable energies will be consumed where produced, which will limit opportunities for profitable international trading. On the other hand, regional hydrocarbon imbalances and trade flows will increase, and new data analytics may help extract higher value. Independent retailers: These will include regional or global companies commercializing fuels, LPG and/ or electricity, increasingly together with non-energy products and services. They will not necessarily be involved in production activities. The limited value of an international brand for fuel retailing, as well as the competitive barriers to capturing margins from new products and services at stations that are largely owned by third parties, will represent major challenges for players aspiring to maintain their growth rates and levels of return on capital employed. Strong innovation capabilities will be needed to develop differentiated and viable customer-centric solutions in this sector. While there won’t be a single business model that drives success, we predict that many IOCs responding to decarbonization threats will move in the direction of “energy holding” companies, while some of the largest NOCs may try to prolong their existence through the scale advantages provided by the model of an “XXL oil company”. Regardless of its chosen business model, the oil company of the future will find that opportunities for growth and value creation will increasingly be outside the traditional hydrocarbon spectrum. As the global energy transition intensifies, oil companies are therefore scrambling to find new business spaces, often competing against utilities, mobility players or emerging energy technology firms. Energy systems: Energy storage and participation in distributed and non-distributed energy. Renewables and clean energy: Generation of solar and wind power and investment in other renewables. Hydrocarbons to chemicals: Covering the complete value chain in order to capture the higher value of petrochemicals against refined fuels. Example initiatives include “crude to chemicals” or “methane to olefins”, alongside greater refining/petrochemical integration. 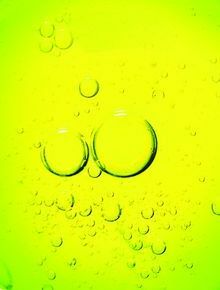 Bio-sourced: Taking positions in biofuels and co- processing crude oil and bio-feedstock at refining facilities. Mobility business: Capturing value by moving from selling fuel for transportation to a services model, i.e., charging customers per kilometer, irrespective of the type of energy supplied. Disruptive energy sources: Taking early positions in development of innovative technologies such as fusion or hydrogen sources. To play its part in creating a low-carbon future, Shell has set up its New Energies business, with projects in biofuels, biomass, hydrogen-fueling stations, EV charging, gas-to- liquid (GTL)/liquefied natural gas (LNG), onshore and offshore wind, thermal and photovoltaic solar, and power distribution and electricity supply from renewable energy sources. The company is planning to spend between $1 billion and $2 billion annually in the New Energies divisions until 2020. Even though this represents less than 1 percent of revenues, it still positions Shell as one of the largest investors behind the “energy transition”. Equinor is also betting on developing non-traditional sources of energy under its New Energy Solutions division. It has become a significant innovator in offshore wind technology and a world leader in carbon capture and storage (CCS) technologies. According to Equinor, its Energy Ventures fund is one of the world’s largest corporate venture funds dedicated to investing in attractive and ambitious growth companies in renewable energy; it has earmarked more than $200 million in total investment capital. Convinced of the opportunities renewable energies have to offer, Total is focusing its main ambitions on solar power generation, targeting production capacity of five gigawatts by 2022. Other areas of focus are wind and hydraulic power generation technologies. Total also believes optimizing energy storage is key to expansion of renewables, which is why it has acquired Saft, a world leader in battery technology. A further area of interest for Total is bioenergy, in which commercial biomass production has allowed it to produce biofuels including ethyl tert-butyl ether (ETBE) and hydrotreated vegetable oil (HVO) for diesel. The journey towards the “oil company of the future” requires companies to constantly rethink their business models and adopt transformation strategies to respond to global trends and prepare for an uncertain and changing world. They need to think carefully about their long-term survival paths, identify growth options, and take deliberate, meaningful and strategic actions to protect themselves against the very real risk of obsolescence. They need to balance efficiency and agility, maintaining high productivity and capital returns in traditional business segments, while exploring diverse options for potential future growth in non-traditional areas through a combination of ventures and own and third-party-led pilots. This will allow them to benefit from emerging technologies, products and services in the new energy ecosystem. They will also need to display new attributes, such as entrepreneurship, innovation, agility and adaptability to sudden market changes, which are qualities not typically found among traditional petroleum industry players. This means oil companies will need to undergo deep transformation of their cultures, skills and capabilities if they are to survive and create long-term, sustainable competitive positions. They will need to be smarter, more innovative, more digitally adept and more agile, with radically different relationships with clients, suppliers, and society as a whole. The challenges are huge – not all of today’s oil companies are likely to be successful.